A 3 percent across-the-board pay raise for non-elected county employees appears to be in the offing for the coming fiscal year, according to a salary proposal introduced Friday by Parker County Judge Mark Riley as part of a proposed fiscal year 2013-14 county budget. The $675,000 salary and benefits package budgeted — pending final court approval – includes $373,600 for insurance and payroll costs and $301,400 for salary adjustments. Sixty-seven percent of the increase would go to the sheriff’s department, according to Riley, including a 6 percent increase for patrol deputies and a 5 percent increase for officers involved in investigations and special crimes. During the current budget year (approved last year), “guns and badges” in the sheriff’s department received a 5 percent increase, while salaries for other rank-and-file employees rose 3 percent. Riley said the increase for entry-level patrol officers — from $37,947 to $40,226 — would allow the county to compete with the City of Weatherford and other agencies. The proposal would also increase salaries for custodial employees by 6 percent — from $22,687 to $24,069 — and bump the lowest salaries in auto registration up to $29,000. Citing expanded duties, Riley also recommended a $52,600 salary — up from $47, 819 — for employee benefits coordinator Jennie Gentry and an increase from $45,974 to $49,534 for public information officer/project coordinator Joel Kertok. Riley said office manager Sophie Clark will become the new probate auditor when Jeanne Lindsey retires in October, and he plans to make up for most of Kertok’s salary increase by lowering the salary for Clark’s replacement at the front desk. 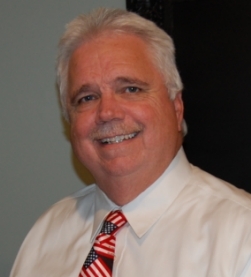 • District Attorney Don Schnebly for $4,800 in certification pay for three officers. Permit and 911 Addressing Department director Kirk Fuqua for $2,000 for computers and $1,500 for contract services. • Justice of the Peace Judges Lynn Johnson, Kelly Green, Wayne Hayes and Suzie Merkley for $21,488 to upgrade a collection clerk’s expanded position plus consideration of another security officer. • Extension Agent Jon Green for a $4,520 salary increase for his longtime chief deputy, $2,000 more for 4-H and funds for new tables and chairs. • IT director Trish Radford for 6 percent salary increases for her two employees, totaling about $5,900. All this largesse with little or no input from the citizens who get to pay for it. Why uou might say? A very good reason is because none of the budget meetings are held in the evening, which is the only time working folks are able to attend. When an evening meeting was held several years ago, the Judge and Commissioners were roundly chastised by many citizens for their spending habits, especially the practice of offering a $2.00 for $1.00 matching of employees 401K program savings. This is still going on, in spite of citizens’ protests. No wonder Judge Riley has such a large smile on his face. The “Golden Parachute” offered him by the citizens of Parker County(even though they are mostly unaware of it) would make anyone smile. I fail to understand your response to this article. It appears to be a direct attack against Judge Riley rather than a dispute of the actual issue. Do you realize that the deputies at the PCSO are among the lowest paid law enforcement officers in the entire metroplex area? Many of them bring home half of what other departments pay for the same rank and experience. The only employees gaining the 6% are bottom level patrol deputies (about 30 of them), making their pay nearly that of (in some cases more than) Corporals or Investigators who have served for many years. Unlike other county employees, they must also supply their own gear and clothing, which easily enters reaches thousands of dollars at times. Are you really saying that they do not deserve enough money to feed their families? Any employee who feels compelled to leave for higher pay should do so. Parker County is under no obligation to “keep up” with any other municipality, or county. The taxpayers here are already overburdened. The national unemployment numbers are appalling. All economic indicators are, as well. Interest is rising in the bond markets, which does not bode well for assorted bond project yields and returns. If any employee wishes to even possibly join the PRIVATE sector, please – do not let the door hit your (usually) ample behind. No raises for anyone anywhere. I recommend our judge and commissioners court look very very closely at an austerity plan, and steps to CUT salaries incrementally, across the board. Yes, including THEM. You know me better than that. I have always supported our PCSO and everyone that works there. My beef is with the way our money is spent without any citizen input. That may suit you, but It doesn’t sit well with me.